Sunrise Fitness in Standish offers an outdoor workout from May to October. 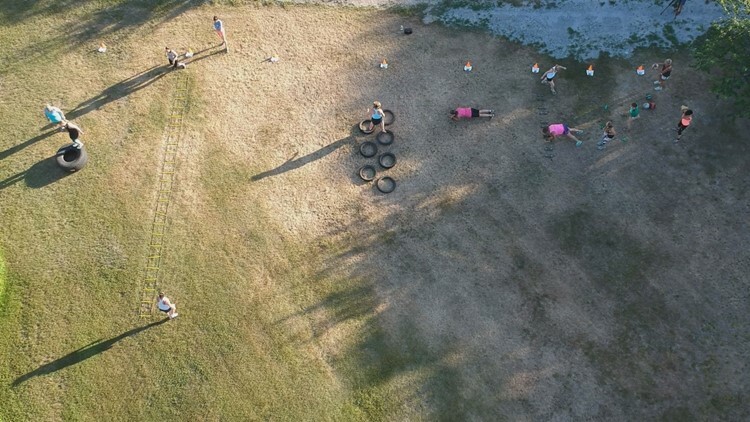 STANDISH, Maine (NEWS CENTER Maine) -- It's summer time, so why not take your workout outside. At Sunrise Fitness in Standish there's a happy hour workout that runs rain, or shine from May to October. Amy Kilburn, personal trainer, started the circuit style class last summer on her front lawn and has anywhere from 15 to 30 students attend once a week. "It's summer and everybody wants to be outside," said Kilburn. "They don't want to be stuck in a gym doing their workout and so people just love it and it's a great way to meet new people and bring your friends along." 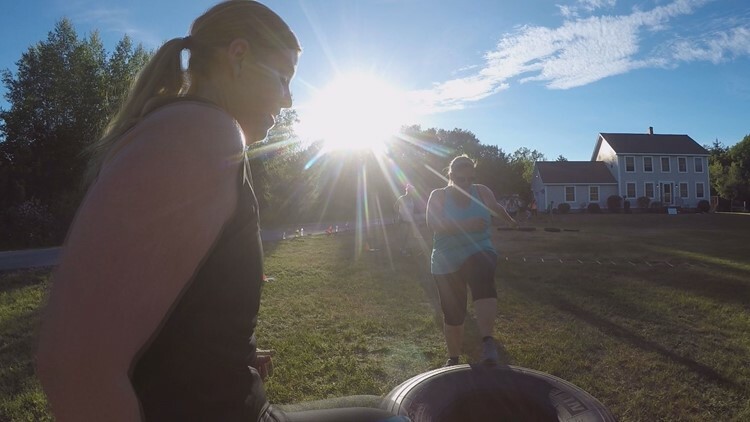 Julie Crawford-Murphy brought her friend Kim to one of the classes under the sun, pushing each other through the burn one jumping jack and dumb bell lift at a time. "It's outside, there are stations and Amy is just awesome," said Crawford-Murphy. "She pushes you and not too much and she gives you instruction and modifications." It might be intimidating for a first timer to see what the plan for the hour will be. Kilburn always assures them that whatever their skill level, or experience, everyone will feel comfortable. "It's really all levels, all ages," said Kilburn. "We can make it work for everyone." The Sunrise Fitness happy hour workout is offered outdoors every Wednesday starting at 6 p.m.